Monday, the Chicago Blackhawks signed goaltender, Anton Forsberg to a 2-year, $1.5mil contract and forward, Tomas Jurco to a 1-year $800,000 contract. Forsberg, 24, was part of the Brandon Saad/Artemi Panarin trade last Friday. His contract is a one-way contract, meaning that he is all but guaranteed to be the replacement for Scott Darling, who was traded to the Carolina Hurricanes in April. Forsberg played one game for the Columbus Blue Jackets last year, but he Blackhawks were impressed with his play with the Cleveland Monsters in the AHL playoffs last year. Jurco, 24, was acquired in February from the Detroit Red Wings. He appeared in 29 games for the Blackhawks with one goal. 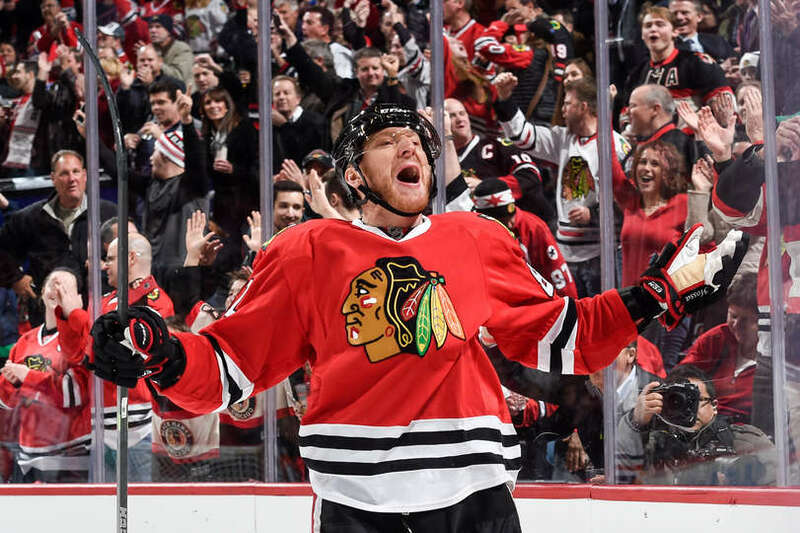 The Hawks still have hope that he will be lightning caught in a bottle as for when they traded for Richard Panik two years ago. With the signings, Capfriendly.com shows the Blackhawks just a shade under $3mil over the salary cap, with 22 players under contract. With rumors of still a possible Marcus Kruger trade ($3mil), it would bring the Blackhawks under the salary cap. With Marian Hossa headed to LTIR ($5.2mil), the Hawks would then have room to sign a forward to replace the vacancy of Artemi Panarin. Free agency stars on July 1st. After all that Stan Bowman has done to this point, it isn't enough yet. What else does he have up his sleeve? Through the first 25 picks in the 2017 NHL Draft, there were no trades. Then it was Stan Bowman and the Chicago Blackhawks' turn. Always the dealmaker, Bowman pulled a move come the 26th pick. The Hawks traded down to the 29th pick, and in the process, gained the 70th pick (3rd rd), from the Dallas Stars. Similar to most years it seems, the Blackhawks dismantle their current squad to meet the expected salary cap. Bowman had also promised a shakeup of the roster after the embarrassing exit in the playoffs last year in a 4-game sweep of the 8th seed, Nashville Predators. Bowman was not kidding. First, he sent core defenseman, Niklas Hjalmarsson to the Arizona Coyotes in a trade for Connor Murhpy. Then, a blockbuster trade with the Columbus Blue Jackets,sent star, Artemi Panarin for Brandon Saad. When it came to the 29th pick, the Blackhawks selected Portland Winterhawks defenseman, Henri Jokiharju. Jokiharju, 18, is from Tampere, Finland. This past season was his first played in North America. He led all WHL rookie defensemen with 48 points (9G 39A) in 71 games, which was also good for 2nd among all defensemen in the league. Jokihargju has a right-handed shot, which is a commodity in the NHL. He is considered a very good skater and a puck-moving defenseman. With the additional 3rd round pick, the Blackhawks will have nine remaining picks for rounds 2-7 on Saturday morning. 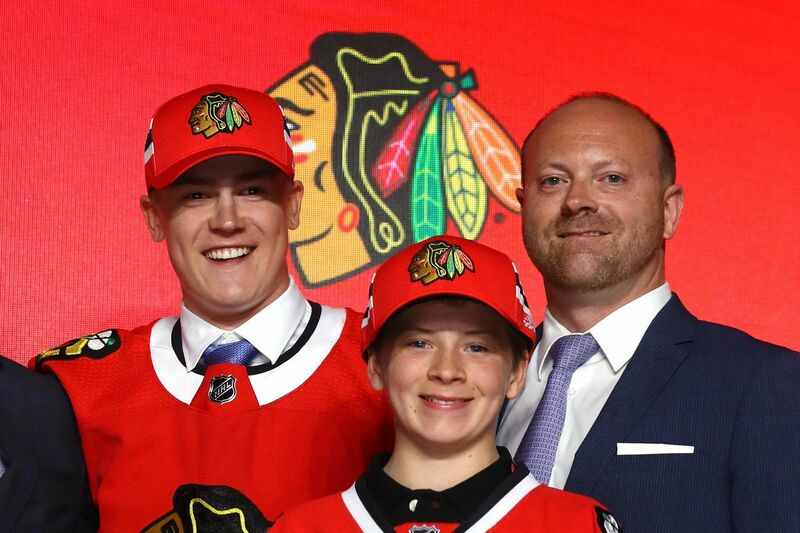 One thing General Manager of the Chicago Blackhawks, Stan Bowman, is not afraid to do, is make a blockbuster deal. Especially when you have the salary cap to contend with year after year. This year was no different. 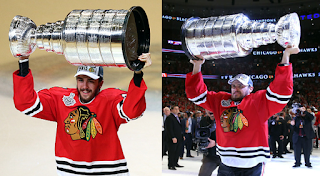 Before the start of the 2017 NHL Entry Draft, Bowman traded superstar, Artemi Panarin, along with forward, Tyler Motte, and a 6th round draft pick, for former Blackhawks hero, and two-time Stanley Cup champion, Brandon Saad, goaltender, Anton Forsberg, and a 5h round draft pick in the 2018 draft. 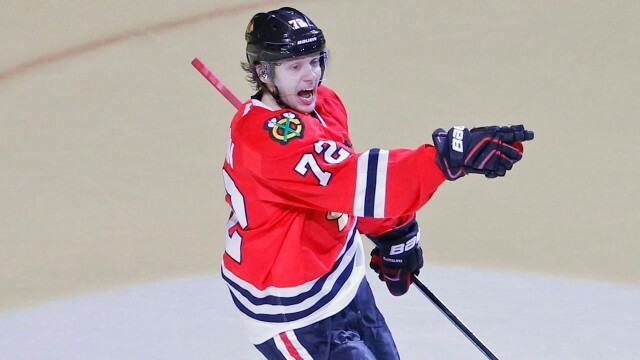 Panarin, 25, was the bake to the shake, when paired with former linemate, Patrick Kane. One of the best one-timers in the league, Panarin captured the Calder Trophy for Rookie of the Year honors in 2016. A huge fan favorite, in his two NHL seasons, he has accumulated 151 points (61G 90A), in 162 games. Panarin had just signed a 2-year, $12 mil contract extension, a $6mil cap hit, which he will take to Columbus with him. Saad, 24, was a major piece of the 2013 and 2015 Stanley Cup championships in Chicago. After the 2015 season he was traded to the Blue Jackets for Artem Anisimov. 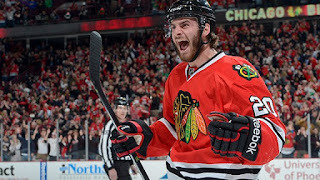 Saad, was brought back to play with Jonathan Toews, no question. Since his departure, Toews has struggled to find a linemate that worked so well with him. Saad brings a game very similar to Marian Hossa, a complete, two-way player game. He isn't a flashy player, but is a grinder and will make the plays. In the two seasons he was in Columbus, he tallied 55 goals, just 6 fewer than Panarin. Forsberg, 24, was brought in as a good candidate to replace Scott Darling as the #2 goalie behind Corey Crawford. He played in one game for Columbus last year, but the Hawks were impressed with his play in the AHL playoffs last year. So will this help the Blackhawks? Answer, yes. Saad is a complete player whereas Panarin is pure offense. Saad, although carries the same salary cap hit as Panarin, $6mil, is signed for four years, compared to Panarin's two. Kane can play with anyone and generate points. Toews and Saad were a tandum that no one wanted to deal with. Saad also has more experience and is a year younger than Panarin. Also, they gained another draft pick for next year. The little things are what add up in a league like this where the salary cap forces teams to rip rosters apart in order to stay competitive. Blackhawk fans should be used to this happening by now. 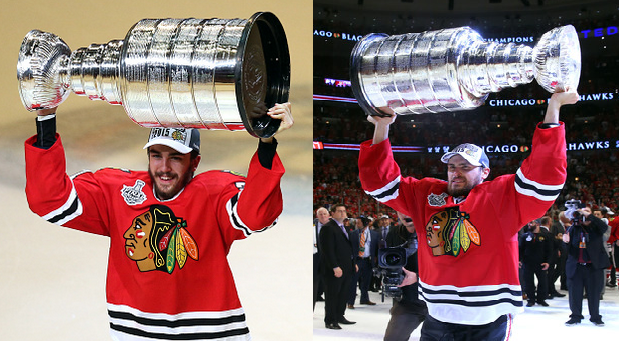 They ripped apart the 2010 Cup champions and then won two more Cups within five years. How many other teams have done so in the salary cap era besides Pittsburgh? Stan Bowman promised a shakeup to the Chicago Blackhawks next year and he did so by trading one of the core defensemen on the team. The Hawks traded 3-time Stanley Cup Champion, Niklas Hjalmarsson, to the Arizona Coyotes, for fellow defenseman, Connor Murphy, and prospect, Laurent Dauphin. Hjalmarsson, 30, spent his entire 10-year career with the Blackhawks. In that time, he was part of 3 Stanley Cup championships. Hjalmarsson was the stay-at-home defenseman that blocked shots like nobody's business. Amazingly, he had missed only 11 games in the last four years. 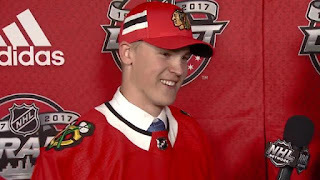 He was the Blackhawks' #3 D-man and will most likely play along Oliver Ekman-Larsson on the top defensive line in Arizona. Hjalmarsson arrives in Arizona with two years remaining on a $20.25mil contract, a cap hit of $4.1mil. 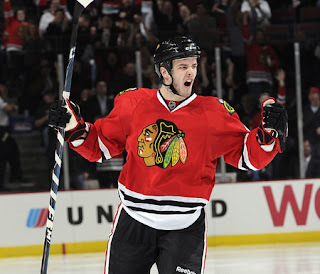 Murphy, 24, will likely assume Hjalmarsson's spot as a top 4 defenseman in Chicago. Murphy, slightly bigger at 6'4", 215 lbs., is considered a stay-at-home defenseman as well, but with a bit more defensive pop. 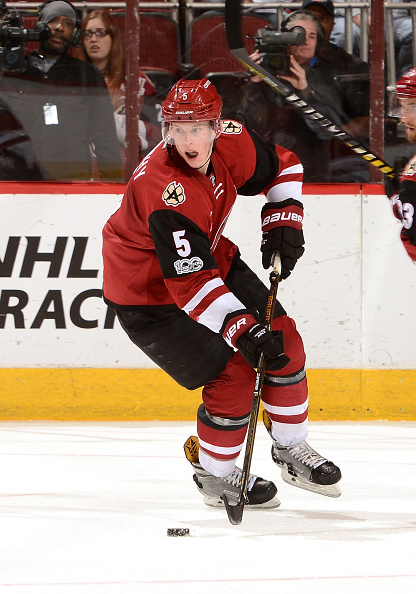 Murphy has spent his four year NHL career, all with the Coyotes. Murphy brings a right-handed shot, which will compliment the Hawks since Hjalmarsson was a left-handed shot who preferred the right side. A former #1 pick, 20th overall in the 2011 NHL Entry Draft, Murphy comes to Chicago with five years remaining on a 6-year, $23.1mil contract, a cap hit of $3.85mil. Dauphin, 22, played 24 games for Arizona last year, gathering 3 points (2G 1A), and will most likely spend time with the Blackhawks' AHL affilliate, Rockford Icehogs. A shakeup was needed, and this was just the beginning. For those who don't "get it", Bowman is keeping the Blackhawks competitive, getting the team younger (6-year difference between Hjlamarsson and Murphy), adding youth prospects (Dauphin), reducing salary cap, ($250k in which every bit counts), and keeping key players under contract (gained 3 years with Murphy). Love him or hate him, Bowman is trying to get the best he can and stay competitive. He blew the 2010 championship team up for picks, and drafted players like Saad and Shaw. How did that work out? This deals a huge blow to the Blackhawks with worries of Trevor van Riemsdyk and Marcus Kruger, both being possibly sent to the Vegas Golden Knights, within the next couple of days. 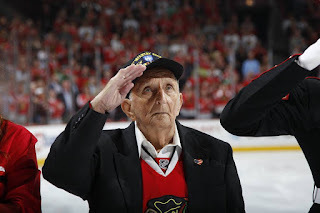 "Over the course of the last few years, under the supervision of the Blackhawks medical staff, I have been privately undergoing treatment for a progressive skin disorder and the side effects of the medications involved to treat the disorder. Due to the severe side effects associated with those medications, playing hockey is not possible for me during the upcoming 2017-18 season. While I am disappointed that I will not be able to play, I have to consider the severity of my condition and how the treatments have impacted my life both on and off the ice. The Chicago Blackhawks organization, including Rocky Wirtz, John McDonough and Stan Bowman, and my agent, Ritch Winter, have been very supportive throughout this entire process. I would also like to thank my teammates and the amazing Blackhawks fans for their understanding. With respect to the privacy of my family, I will not be commenting any further on my health." "The Chicago Blackhawks are in full support of Marian Hossa as he addresses his medical issues. This is extremely difficult for us because we all know the incredible person and player that Marian Hossa is - competitive, loyal and humble. He has played a major role in the success our franchise has experienced in recent years, which makes his departure from our lineup a significant loss. His teammates and coaches know he battled through some very tough physical difficulties but never complained or missed games despite the challenges he faced. The organization will continue to provide him every resource he needs to maintain his health." "Marian has been dealing with the effects of a progressive skin disorder that is becoming more and more difficult to treat and control with conventional medications while he plays hockey. Because of the dramatic nature of the medications required and their decreasing effectiveness, we strongly support his decision not to play during the 2017-18 season. We feel in the most certain terms this is the appropriate approach for Marian in order to keep him functional and healthy in the short term and throughout his life." After the Blackhawks were eliminated by the Nashville Predators, Hossa had mentioned in a Slovokia publication that he looked forward to beginning his offseason training. The only positive news that can come from this is that the Blackhakws can place Hossa on Long-Term Injured Reserve (LITR), for the entire season and not have his $5.275 cap hit effect the teams salary cap problems. If Hossa retires, the Blackhawks will be hit with a $3.675 cap capture penalty through the 2020-21 season due to Hossa still having four years remaining on his 12-year, $63.3 million contract. This would be a horrible way for one of the best and most respected players in the league to leave the game, if he cannot return from this. 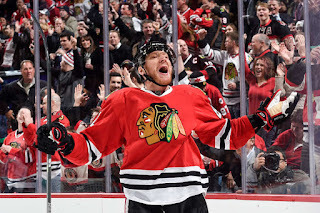 Hossa had a bounce back season last year scoring 26 goals, with 19 assists, in 73 games last year. For his career, Hossa has put up Hall of Fame numbers with 1134 points (525 goals, 609 assists), in 1309 career NHL games, to this point. He was part of Blackhawks' 2010, '13, and '15 Stanley Cup wins, while appearing in 2 others (Detroit, '09, Pittsburgh, '08). For the Chicago Blackhawks, the following is the list of protected players. No surprise really of any of them. Key players of interest are Marcus Kruger and Trevor van Riemsdyk, who have both been of the chatter of this upcoming expansion draft. There have been rumors of supposed deals where both players would go to Vegas dependent upon Vegas selecting one of the players and then trading for the other. We shall see what develops as we get closer to that day.